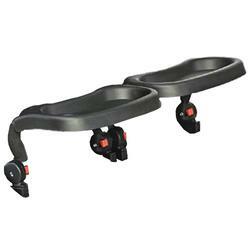 Valco Baby Snack Tray for Valco Twin Baby Strollers. Durable plastic tray for convenient snacking and drinking. Fitted with a groove for cup or bottle.